Brabus will launch within the Essen Motor Show first interpretation of Mercedes SLS AMG supercar, just launched this autumn in Frankfurt. The new Mercedes supercar launched this autumn in Frankfurt already enjoyed tuning house’s attention. 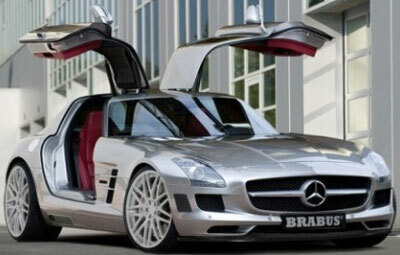 As was normally, the first on the list are those from Brabus, close to manufacturer in Stuttgart for almost 30 years. 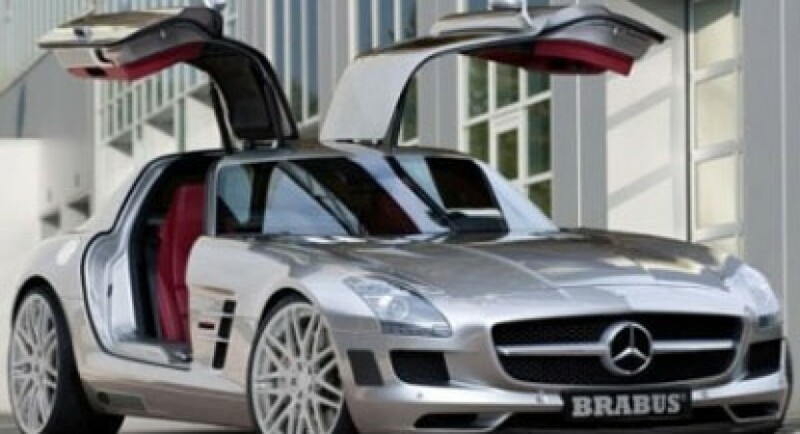 Although the tuning house still keeps secret the package details or accessories, we managed to get the first official image of the SLS AMG specimen.It seems that Brabus resumed only to discrete elements, preferring not to alter the look of German supercar, already acclaimed by fans of the brand. Thus, at the outside of SLS Brabus is individualized only by imposing wheels, that are white and with much lower ground clearance. But surprises are kept under the hood, where the Germans are expected to be able to squeeze out about 700 horsepower from the AMG standard unit. Tuner won’t install they V12 unit of 6.3 liters and 800 horsepower, as many voices predicted. All information about the new creation of Brabus will be disclosed soon, with the approximation of the Essen Tuning Motor Show.